The study was done by researchers of the Cotton Research and Development Institute (CRDI) based at the Mariano Marcos State University, Batac, Ilocos Norte. Aside from the profitability in intercropping cotton with legume the scheme also helps in enriching the soil. *** Prior to planting, plow and harrow the field twice to obtain good soil tilt. Construct double furrows for cotton at 60 centimeters between furrows and 140 centimeters between double furrows. Then, make shallower furrows at 40 centimeters between the wider furrow spacing of cotton. *** Before planting, soak the cotton and legume seeds separately in fungicide solution for 6 to 10 hours to protect them from soil and seed borne diseases. *** Apply 4 bags of complete (14-14-14) and 1 to 1.5 bags of urea if the soil lacks potassium. Spread the fertilizer evenly along the furrows designated for both cotton and legume. At planting drop 3 to 4 cotton seeds per hill at a distance of 20 centimeters between hills. Cover the seeds and fertilizer with fine soil. Make sure the fertilizer does not come in contact with the seeds. *** Plant any of the following legumes along the shallower furrows sticking to the recommended distance. For peanut, use 10 to 15 centimeter distance at 2 seeds per hill. For cowpea, 20 centimeters distance at 3 seeds per hill, and for soybean, 10 to 15 centimeters distance at 3 to 4 seeds per hill. Whenever possible, plant a high yielding cotton variety like CDRI-2 which has an erect branching habit which makes it ideal for intercropping. 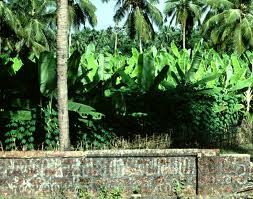 It has a yield potential of more than 2 tons per hectare. It produces its first open bolls at 113 day after planting. At early growth stage it shows resistance to damping off organisms and boll rot. For peanut, a bunch type and pink variety is preferred. 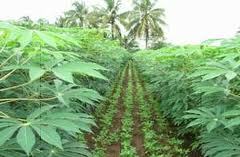 Short statured and early maturing cowpea and soybean varieties are likewise recommended. Sidedress 2 to 2.5 bags of urea to the cotton plants at 42 to 47 days after planting. Hill up immediately to cover the fertilizer. This also suppresses the growth of weeds. Irrigate after sidedressing and when the plant shows signs of wilting or when the soil is dry. Avoid drought stress during the 8th, 11th and 13th week after planting. Harvest the cowpea pods either as green vegetable or mature beans. Mature pods are ready for harvest at 65 to 80 days after planting. For soybean, when 80 to 90 percent of the pods are dried. Peanut can be harvested at 4 months. For cotton, harvest twice when 50 and 100 percent of the bolls have flossed.